This weekend the UFC makes its return to Adelaide, Australia when the Octagon lands down for UFC Fight Night 142. As you would expect of any regional MMA card, this event is filled with matchups featuring local talent from Australia, New Zealand, and Oceania. But the card isn't just full of fighters the promotion needs to draw local interest and sell tickets; it features a number of Australian fighters who represent possible legitimate title threats in the future, and this event could prove in a few years to have been the launching pad for numerous future stars. The future of MMA in Australia in bright, and UFC Adelaide is an opportunity to showcase some of the young, talented fighters from the region. Tai Tuivasa is a fighter that the UFC is extremely high on, giving him the co-headlining spot against future Hall of Fame heavyweight Junior dos Santos. This is an incredible opportunity for the young Aussie to punch his ticket into the Top 5 of the heavyweight division. Tuivasa is only 25 and is already 8-0 in MMA, with seven wins coming by knockout, and three wins coming in the Octagon. He's coming off of a decision win over Andrei Arlovski, and the UFC matchmakers now want to see how he stacks up against a former champion in JDS. 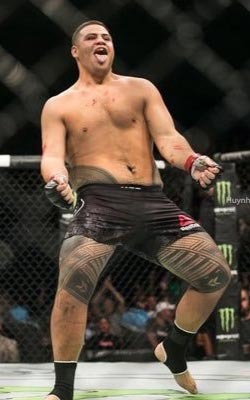 If Tuivasa wins this fight, you would have to start penciling him in for a potential heavyweight title shot. JDS is an extremely skilled and experienced fighter who has only lost to the best of the best, so if Tuivasa can get the job done it's fair to say that the sky is the limit for him. We still have to see more from him to say for sure, but beating JDS would be a pretty good indication that he's future championship material. 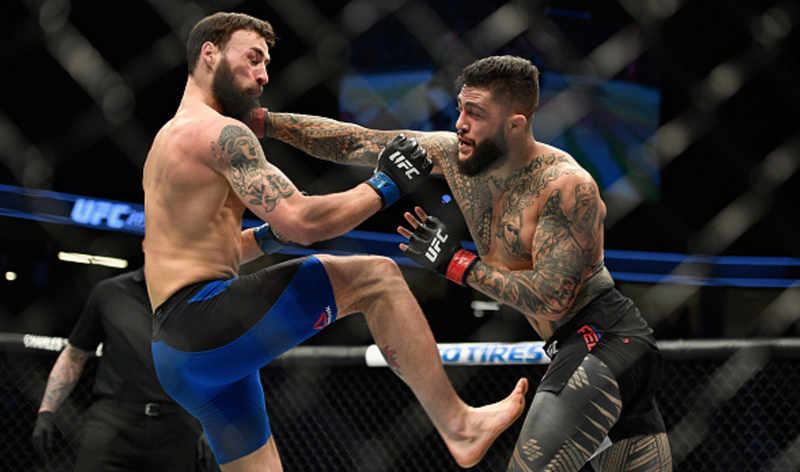 Long thought to be a future title contender at 205 lbs, Tyson Pedro has been a bit of a disappointment so far in the UFC with just a 3-2 record. But you have to remember that he's only 27, and his losses came against top-10 talent in Ilir Latifi and Ovince Saint-Preux. 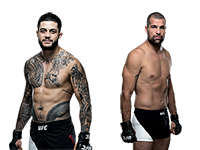 It would be silly to write Pedro off already, considering the ridiculous finishing skills he's shown off in his wins, so the UFC is giving Pedro a fight against chinny veteran Mauricio "Shogun" Rua that can put him back on the map in the light heavyweight division. Considering Pedro is 10 years younger and significantly faster, he has a golden opportunity here to be like Anthony Smith and announce himself to the world as an elite light heavyweight with a KO win over an MMA legend in "Shogun." Let's see if he runs with the chance. It's crazy to think Jake Matthews is just 24, as he's already fought 10 times inside the Octagon, incredible experience for such a young fighter. He's 14-3 in his career and 7-3 inside the Octagon, with a current three-fight win streak in tow. He was a good fighter in the lightweight division, but he's looked even better since moving up to welterweight, going undefeated. If you think about how young Matthews is and how talented he is, he could be a future top-10 fighter at 170 lbs. He takes on Tony Martin in a battle between two rising young welterweights, and the winner of this fight could ultimately prove to be one of the best fighters in the division. Nicknamed "The Brute," Jim Crute is just 22 years old and has already amassed an 8-0 record with five stoppage wins since making his pro debut in 2016. Crute is a product of the Australian regional MMA scene, where he was the champion of Hex Fighting Series, one of the top promotions in the region. In his last fight, he made his North American debut when he won via TKO on Dana White's Tuesday Night Contender Series to earn a UFC deal. 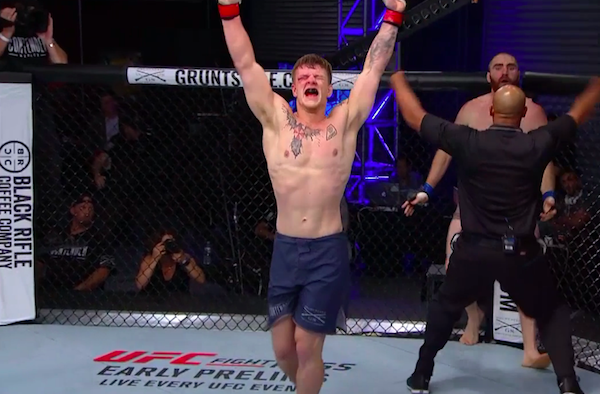 Considering how young he is and how shallow the UFC's light heavyweight division is, Crute has a real opportunity here to get an impressive win over veteran Paul Craig and fully announce himself to the world as a top prospect at 205 lbs. It's a shame the UFC flyweight division is going to be shut down, because Kai-Kara France is an impressive prospect. France is just 25 and has already racked up a 17-7, 1 NC record since making his pro debut in 2010. He will be riding a five-fight win streak when he enters the Octagon against short-notice replacement opponent Elias Garcia, and although this is technically his UFC debut, he did compete on The Ultimate Fighter, losing to current UFC flyweight Alexandre Pantoja. France might never get the opportunity to fight for a UFC belt, but if he has a good showing here, once the UFC does close the division, France could be a contender to join the ONE Championship Flyweight Grand Prix. Or perhaps a return to RIZIN could be in the cards. Who knows, maybe France could be tapped to face flyweight legend Demetrious Johnson. France's possibilities are wide open with a win. The five fighters I mentioned are just a sampling of the talented mixed martial artists Australia is producing. The sport is expanding and growing around the world, and that's great to see. This card could ultimately prove to be the breakthrough these talented fighters from Australia need to show the rest of the world just how talented they are. 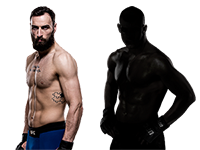 The region is clearly developing some great fighters, and it could soon become the next great hotbed of MMA. 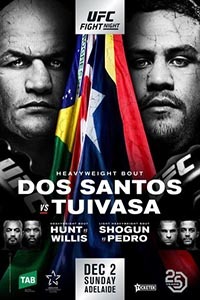 UFC Fight Night 142: Dos Santos vs. Tuivasa takes place December 1, 2018 at Adelaide Entertainment Center in Adelaide, Australia.